Nutaku Celebrates 3rd Anniversary With Contest | PornUNeed - Adult content and industry news. MONTREAL — Nutaku has announced the celebration of its third anniversary by offering limited-time “birthday” gold packages with added bonuses, a social media contest giving 300 players a chance to win 1,000 gold each, and a mega contest where players have a chance to win one of three Razor Blade Pro 17-inch gaming laptops. 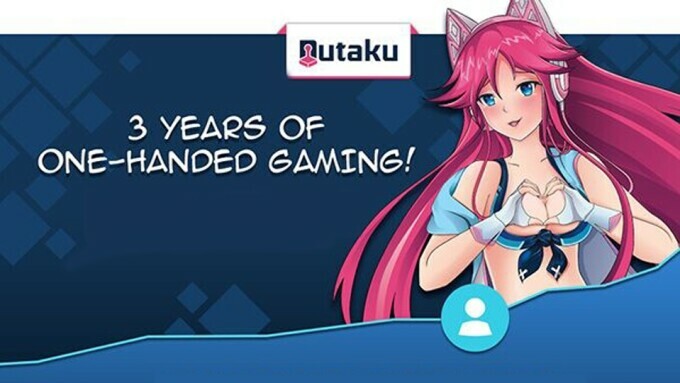 Nutaku, the top English gaming platform for adult-oriented titles, is also releasing a timeline to share the biggest moments, milestones and hard work that has gone into building its success. “It is tough to turn a profit in the gaming industry, with less than one percent of titles [finding] success in the traditional app stores,” Nutaku Vice President Mark Antoon said. “Through learning some valuable lessons in the world of game development, we found success as an adult gaming platform. Antoon said Nutaku wanted to take its anniversary celebration as an opportunity to give back to the players. The platform will be offering up limited time deals with three “birthday” gold packages, designed for new players looking to get started on the site or for existing players looking to top off their gold balance with a bonus. Nutaku is also celebrating by offering up some top-notch gaming gear, with players who visit Nutaku.net between Jan. 24-31 eligible to win one of three Razer gaming laptops, valued at $2,299. Nutaku plans to keep its momentum going and has reached some impressive milestones, including developing the largest F2P browser and downloadable gaming platform dedicated to 18+ games; creating more than 100 partnerships with development studios worldwide; the launch of the Kimochi Red Lights crowdfunding platform; garnering a $13 million investment dedicated to game development, with $10M going towards the untapped Latin America Market; and the launch of Kimochi Classifieds, a free to use site connecting game developers and talented job seekers around the globe.